Rob Smedley believes Valtteri Bottas' performance at the British Grand Prix demonstrated the potential he has to become one of F1's top drivers. 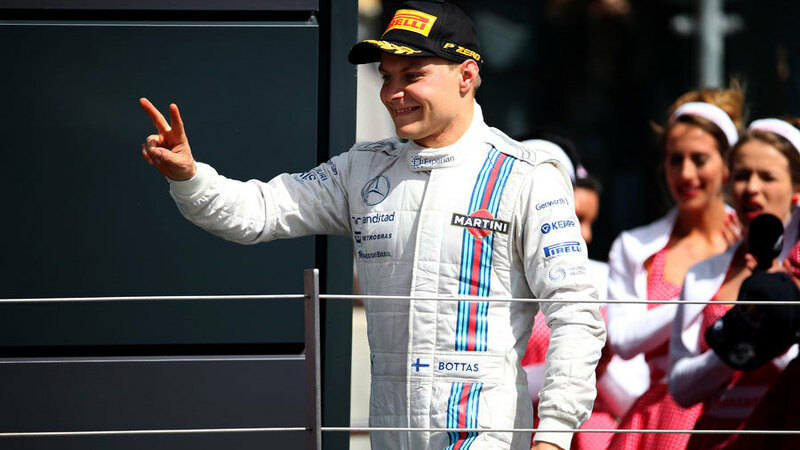 Bottas roared through the field early on - making up for a horrendous error of judgement from Williams in qualifying - to finish second, his highest career position and meaning he has now scored back-to-back podiums. Williams has held Bottas in high regard for a long time and head of vehicle performance Smedley says the Finn's stock is rising with every race. "[At Silverstone] it came off as well as it could do, you couldn't really have hoped for anything more than that," Smedley said. "Has my opinion changed of him? Absolutely not, my opinion is growing of him week by week. I think that he is a very good driver and he could become an exceptional driver so we're lucky to have him. "I think that he's a very, very good driver. He's a great driver. His racecraft is phenomenal and he's super-quick. The good thing about Valtteri is he's a young lad with his feet absolutely on the ground. He's not spoiled in any way shape or form, which is great - neither of our drivers are so they are very easy to work with. "He's able to accept advice very readily, not only about the very basics but also about his racecraft and about how he communicates with us. I think [at Silverstone] the communication between him and the pit wall - the messages we sent him and the messages that came back - were exceptional. That's what you need, to have that level of synergy between driver and pit wall and that cohesion really between what we're all trying to achieve so that it's all going in exactly the right direction." Bottas was faultless at Silverstone, with several of his early passing moves through Stowe which moved him through the field particularly pleasing the onlooking Smedley. "I think what I would say is exciting - even for someone like me who tends not to get excited about stuff - was how quickly he caught all them cars and passed three of them round the outside. That was really good, there's not many things in Formula One that excites me but that was great. "I was massively impressed. His racecraft was exceptional. The way that he approached cars, the way that the team helped him utilise the deployment of the ERS system to get the maximum power from the IC engine at all the right times. These are things that we now discuss in great detail before the race and make sure that when we get in to a situation we know exactly what we're going to do and just deploy a strategy and do it."